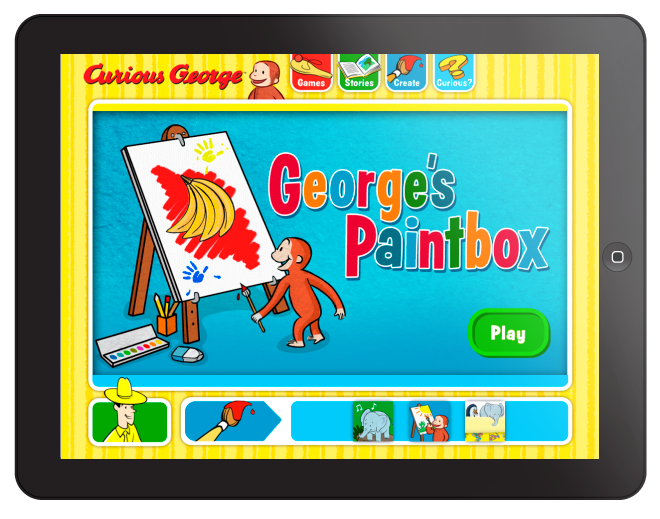 Creation of assets, illustrations and paint box tool imagery for George’s Paintbox, a Funny Garbage created website for Houghton Mifflin Harcourt’s Curious George website, www.curiousgeorge.com. 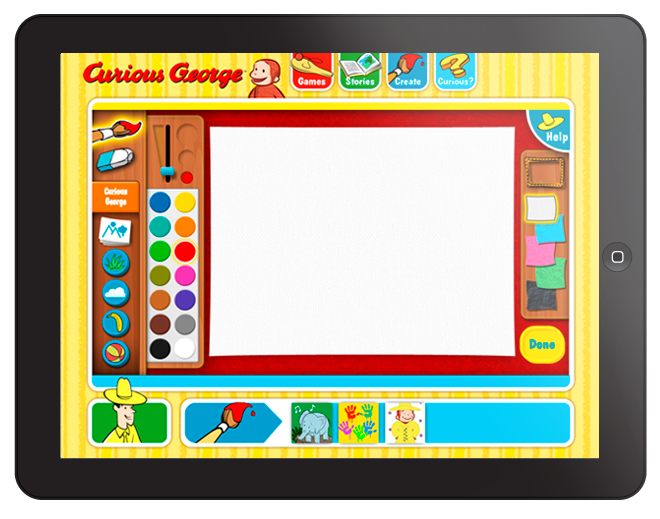 This art room inspired game allows kids the ability to use the computer to create artworks using touch screen, track-pad or mouse. For this game I rendered various Curious George styled imagery to be used as artwork for the game that can be placed on the canvas. I also created many stamp tools, which are graphical elements that can be painted onto the canvas leaving path trails of randomly placed imagery. Periodically the Curious George website will feature various topical themes (such as Halloween, Birthday, or Space) that each come with an array of subject specific artwork and stamp tools. Click inside image above to view user experience video.